Save the Date! Our 2017 Investor Conference will be held at Loews Royal Pacific Resort in Orlando, Florida, from November 3 through November 5. More information will be coming soon. If one were to create a list of good advice for life, I would suggest including a simple rule: “Always know where the exits are.” It’s guidance that works in a variety of situations. For example, while I was traveling this past weekend, I looked to see where the doors were located on the planes I boarded. On Black Friday last November, taking the back way out of an outlet shopping center allowed me to avoid having to wait in a mile-long line of cars heading for the highway. In investing, having a predetermined exit strategy will boost your returns. 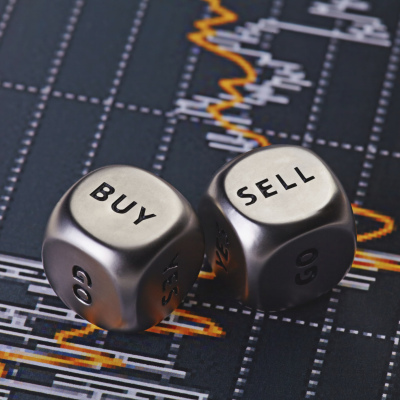 Clear, established sell rules provide the needed guidance to determine whether you should hold or fold. Without such rules in place, you (and me) will be left to our emotions and our cognitive biases—never a good thing. The best time to determine when to sell is before the decision needs to be made. Exit strategies work well at the portfolio level. Preset rules alert you to when it is time to trim an allocation to stocks, bonds or another asset class for those who use rebalancing to keep their allocations within a targeted range. Similarly, an exit strategy can help you maintain a bucket strategy (e.g., one to five years of living expenses held in cash, three to seven years of expenses held in bonds and high-quality dividend-paying stocks, and the remainder in stocks.) The sell rules would be a prompt to replenish the shorter-term buckets. You could also use preset rules to keep a specific position from becoming too large. None of these exit strategies require a working crystal ball. Quite the opposite; they use a list of criteria and rules to compare a portfolio or investment against. For a stock, you could use a lack of sales and/or earnings growth, an ending of annual dividend increases, an earnings miss, a high valuation or a breakdown of a technical formation as reasons to sell. A credit downgrade or a deterioration of financial strength on the part of the issuer could be the reasons for selling a bond. A change in the manager, a shift in strategy or an extended period of underperformance relative to its peers could be a reason to sell a mutual fund or ETF. At the portfolio level, you could set up barriers at which your allocations are not allowed to fluctuate beyond (e.g., more than 5% above or below target). Those of you who are retired could direct all dividends, interest payments and realized capital gains to cash to fund distributions. To keep any single stock holding from having too much influence on returns, holdings in the AAII Stock Superstars Report and Dividend Investing portfolios are trimmed when they exceed 2.5 times the average dollar amount invested in all of the stocks held in each of the respective portfolios. In all cases, there are clear lines in the sand. If they are not crossed, the investment is held. If they are crossed, the investment is sold. Having an exit strategy written down and available when it comes time to make an investment decision will better enable you to make rational sell decisions on a consistent basis. Realize that you won’t be able to create an exit strategy for every possible event. Strange and unusual events can and do occur. Your goal should be to set up guidelines that cover the most common occurrences and to develop a habit of sticking to them. Doing so will make you a better, more disciplined investor. The Internal Revenue Service will start accepting tax returns on Monday. Procrastinators have until April 18. Filing as early as you can can help deter identity thieves, though I realize many of you are still waiting on tax forms, such as 1099s, to arrive. Fourth-quarter earnings season picks up steam with 106 members of the S&P 500 scheduled to report. Included in this group are 12 Dow Jones industrial components: McDonald’s Corp. (MCD) on Monday; 3M (MMM), Du Pont (DD), Johnson & Johnson (JNJ), Travelers Companies (TRV) and Verizon Corp. (VZ) on Tuesday; Boeing (BA) and United Technologies Corp. (UTX) on Wednesday; Caterpillar (CAT), Intel Corp. (INTC) and Microsoft Corp. (MSFT) on Thursday; and Chevron Corp. (CVX) on Friday. The week’s first economic reports will be the January purchasing managers’ manufacturing index flash and December existing home sales, both of which will be released on Tuesday. Thursday will feature December international trade and December new home sales. December durable goods orders, the initial estimate of fourth-quarter gross domestic product (GDP) and the University of Michigan’s final January consumer sentiment survey will be released on Friday.